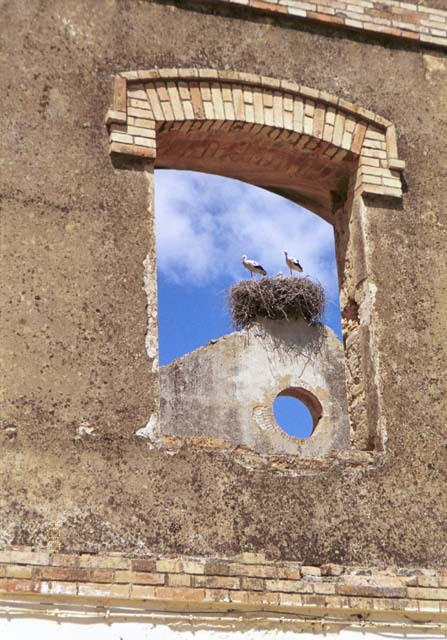 On the way to Puerto, we stopped at an old building taken over by nesting storks. 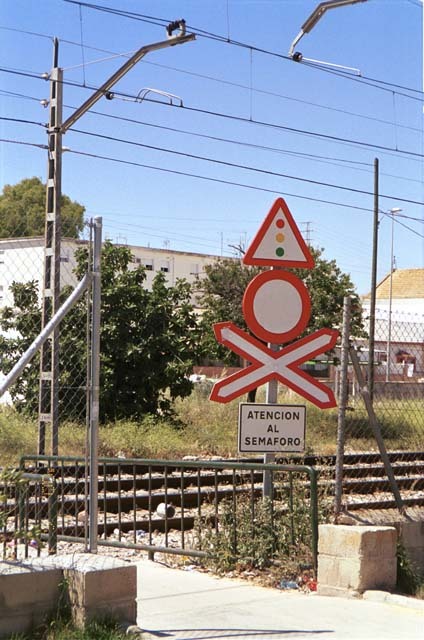 Here's the pedestrian railroad crossing. You could look right through the window openings of the old building to the peaks of the walls, where the storks chose to make their nests - the highest spots around. 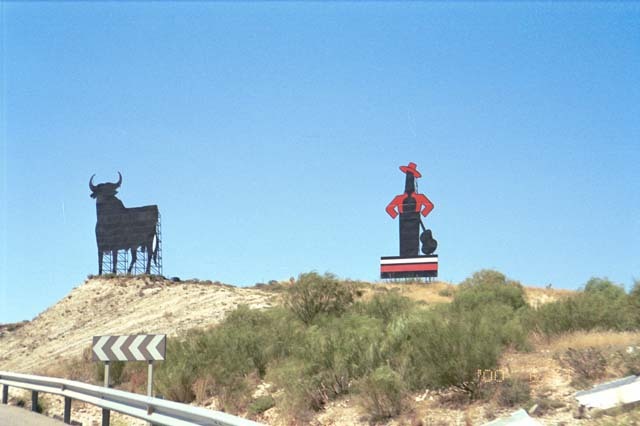 Bullfighting is popular in southern Spain. These profiles are on a hill behind a water park outside Puerto.